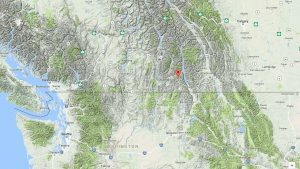 Nelson (BC), Canada – An avalanche on Saturday morning in the Kootenay region of British Columbia, between Ymir and Nelson, has taken the life of a 32-year-old Alaska woman. The unidentified victim, who lived in Anchorage, was skiing near Qua Peak in southern B.C. with two companions when the large avalanche struck, according to the Royal Canadian Mounted Police (RCMP). All three, said to be experienced backcountry skiers, deployed avalanche airbags. The victim was located unconscious and unresponsive, and was transported to a hospital in Nelson where she was pronounced dead. The B.C. Coroners Service is investigating the death.